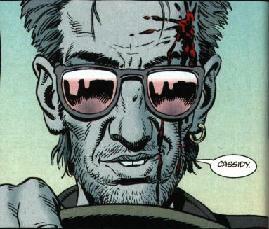 The last time we saw Jesse Custer, he was possessed by a nascent godling and hunted by an immortal cowboy. Things don’t get much better in Preacher #2-4 as we learn Cassidy’s dark secret, the heavenly host appears, and Jesse gets a knock on the noggin. 1:50 – Luca Dragos is a character from our D&D campaign. He was the jilted fiancé of a party member, and was hounding the party from town to town, though always in a good-hearted, naïve kind of way. 3:17 – Actually, every U.S. state except Alaska and Connecticut has sheriffs. A sheriff is a county official, usually elected, empowered by the state constitution and responsible for law enforcement. So, basically, I was wrong. The Mason-Dixon Line, by the way, is the boundary, established in the 1760s by a British Court of Chancery, forming the southern border of Pennsylvania and western edge of Delaware, dividing them from Maryland, Virginia and West Virginia. It has long been thought of as a cultural boundary between North and South, and this is, obviously, the only relevance it would have to Texas. 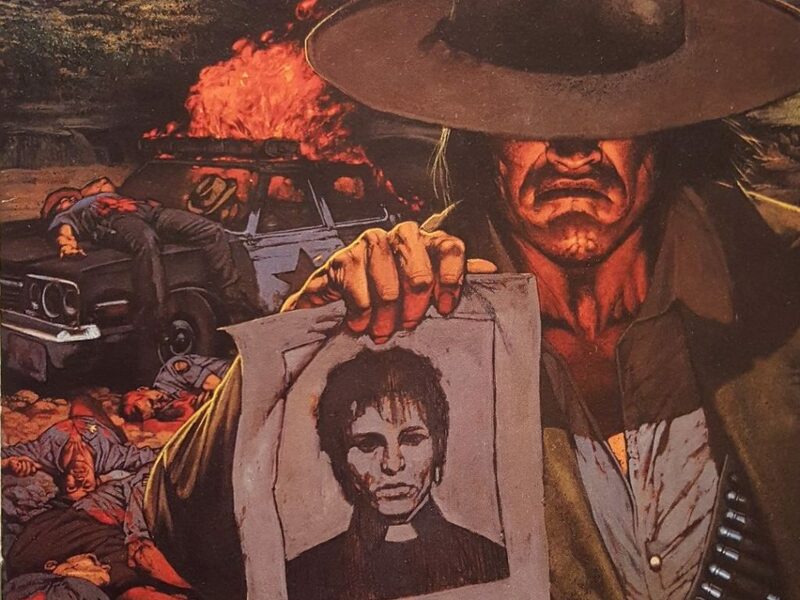 11:29 – “The Story of You Know Who” appeared as a one-shot issue of Preacher Special. It was collected in the Ancient History trade and Book Four of the reprinted anthologies, and will inevitably be covered on this podcast at a later time. 12:36 – This plot point is one of the most significant alterations in the Preacher TV series: Tulip arrives days or weeks before the Annville church incident and spends the whole first season trying to lure Jesse away from his parish. 15:57 – Stand by Your Man is a 1968 hit performed by Tammy Wynette, written in 15 minutes by Wynette and Billy Sherrill. It has received some criticism as a purported call for female loyalty in the face of infidelity or domestic abuse, though Wynette rejected these readings (and that’s probably not why Tulip is annoyed here). Having grown up in the 90s, I can’t help but mention the song’s appearance, sung badly, in a Russian accent, by Minnie Driver, in the movie GoldenEye. 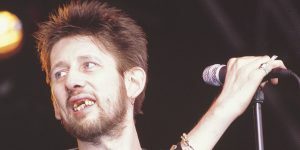 22:46 – I haven’t been able to find confirmation from Garth Ennis or Steve Dillon that Cassidy or his look was based on Shane MacGowan (lead singer and songwriter for The Pogues from 1982 to 1991, and sporadically post-2001), but I’m not the first to speculate to a connection. Have a look for yourself, I’ve got pictures. 23:39 – Sorry, that line was Fiore. 36:26 – Jesse apparently needs advanced lessons in Not Being Seen. 48:37 – I guess we skipped a line there, but Hugo specifically asked Arseface to bring him his gun. The boy was too excited by his father speaking to him again to question why.